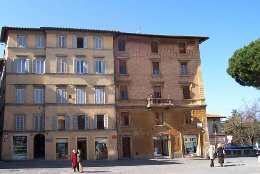 The Scuola Leonardo da Vinci in Siena has an ideal location, right in the historic center of the city. 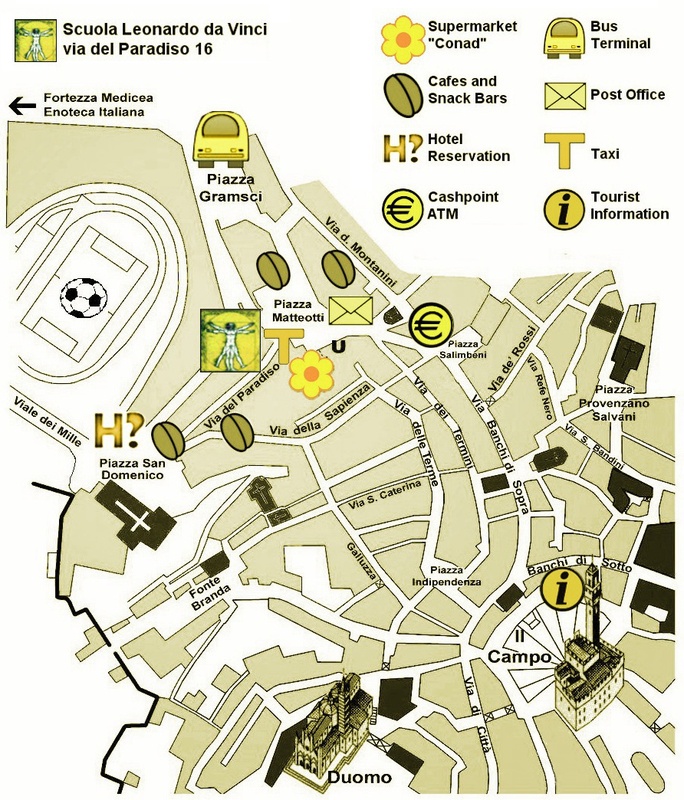 From there, the main touristic sights such as the Piazza del Campo, Palazzo Pubblico and Duomo are easily reached by foot, while the bus station, post office, communal library and large, modern supermarket are but steps away. Numerous clothing boutiques, book stores, and cafes are nearby, and a number of Internet Cafes are conveniently located within a five or ten minute walk from the school.